Baran Doda is a Research Fellow at the Grantham Research Institute on Climate Change and the Environment. 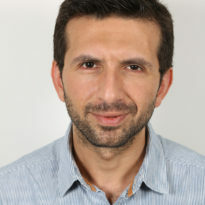 He joined the institute in September 2011. His research focuses on the causes and consequences of anthropogenic climate change through the lens of macroeconomics. Baran completed his formal training in economics in Canada. He holds a PhD and an MA from the University of Toronto, and a BA from Simon Fraser University. He is also an alumnus of the United World College of the Adriatic, Italy. He was previously employed as an economist at the Bank of Canada, taught undergraduate economics in Canada and the UK, and worked as a freelance economics consultant. Are Corporate Carbon Management Practices Reducing Corporate Carbon Emissions? Are corporate carbon management practices impacting on corporate carbon emissions?